Nationwide Auto Glass of Chantilly Virginia provides both repair and replacement services for your auto glass at the best prices. We will inspect the damage and determine whether a repair or replacement is suitable. The severity of the damage will determine the type of service you will need. 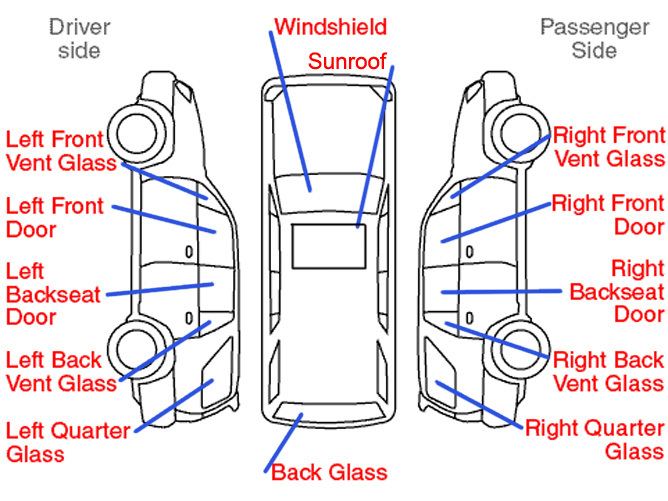 Please review the image below to identify the name of the glass part you will need to have replaced or repaired.